Steemit.com Evolving Again! A peek into its Destiny! Like your site. I'm following. Very interesting! I am excited about the future of steemit! I'm following you for more updates, thank you for your insights and I'm looking forward to the destiny of this project. I also want to launch a smart media token myself so any news is good news but it sounds like it will be March when that is ready. Keep in mind, Destiny may be a response by Steemit.com to be able to compete with the new kids in the park in ways Steemit.com can't. Ned does say Steemit.com will continue but he also says 'Destiny will try to get users from Stemmit.com' and he goes on to say he believes it will be successful doing so. So, just read between the lines. I'm holding back with my film token to see whether i launch on steem or through an app like Destiny. Ned didn't say much about it, so I was wondering what Destiny was about. We have lots of interfaces to choose from now and some are adding interesting features. It's great to have the choice. I think it needs to be made clearer that this choice exists. Some of the other sites don't say 'built on Steem' or similar. 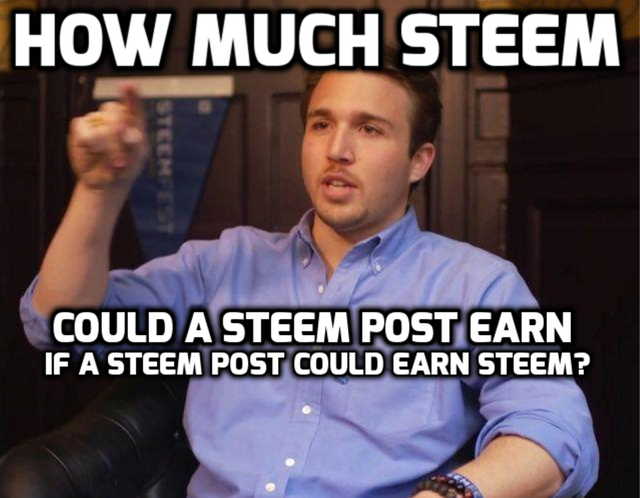 The Steem brand needs to be promoted so people know it's about video, audio, games as well as blogging. Indeed, one of most genius advertising campaigns is the "Intel inside" logo. Intel understood they had to promote what was under the hood. All Steem-linked sites should have a similar brand button. Embrace change, adapt fast and enjoy the new features that they might build into the new interface. Good point. Keep your eyes on the game. Destiny may be a new app designed to compete in ways Steemit.com can't.????? We are making sound progress it seems. On a flight Brian; so can’t respond too specifically; would like to clarify. Destiny is simply a new app with a new Company with new people with New Co and new mission. Destiny app will use Steem and SMTs and it will try to get users from Steemit.com, I believe it will be very successful at this. I can’t say much more at this time. Steemit.com and Steemit, Inc are staying course with no replacing. Steemit, Inc. will continue funding blockchain development and other SteemWorks. Thanks @ned I am eagerly looking forward to this. You are a gentleman and a scholar. Hey @ned. Thank you for the notes. I’ve been asked by Jolene Moody and R.B. Botto of Stage 32 - a 500,000 member ‘film’ social networking site based in LA - to blog for them on Blockchain, Steem and Steemit.com. So I’m trying to get a handle on the future for Steemit.com. So thanks for confirming Steemit.com and Steemit Inc. are “staying the course”. So I will press on with Steemit.com in my blogs with Stage 32. A question. You mentioned, “Destiny app will use Steem”. Are you referring to the blockchain, the token or both. More directly, do you see Destiny launching with its own token? Regardless, you have my support. I appreciate your candor. If you wish to reach out to clarify further, please do. I’m on Discord and Steem-chat also. With the Film Festival Campaign for our film TOOTTC - the first professional film fully funded through rewards on the blockchain - and Stage 32, I’m at the doorway to a huge Film audience and I want to get it right. The best @ned.